I strongly believe that Beirut is the ultimate code-switching capital. 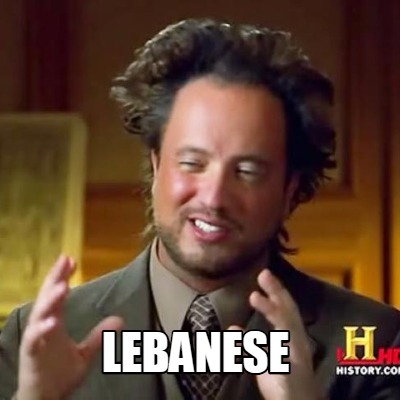 The majority of Lebanese are trilingual and not just bilingual. 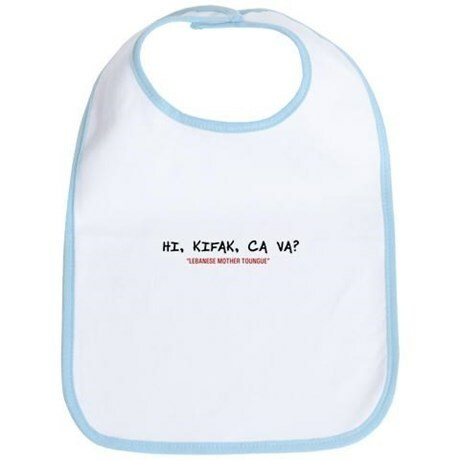 Our modern culture is so influenced by the French and English (British or American English alike) cultures and our language takes on so many of the French and English languages’ characteristics that Lebanese people can no longer help it: they jump from one language to another, not just between sentences, but in the same sentence, even if it is merely 3 words long. Oh, and there’s a term for that; it’s called “intra-sentential switching”. Bam! If you thought that was something, you’re in for another interesting fact: Juggling between Arabic, English and French comes as a no brainer for most Lebanese, and when the code-switchers in subject are Armenian Lebanese, then it gets all the more mind-boggling: 4 languages in a single sentence? Who on earth can beat that? It’s absurd, but everyone is guilty of doing it; even I’m nodding my head, not in shame though. I think this is what makes us special. No, I mean it, and I’m not ashamed of admitting it. 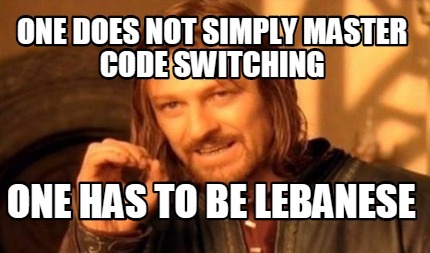 I am a proud code-switcher. It’s part of my identity (to all of you negative Lebanese who keep giving us lectures about speaking only Arabic, just get over it already!). Even my 6 year old switches from Arabic, to French to English while speaking. I mean, after all, how can we not be code-switchers? We do learn 3 languages in school so we might as well put them to good use in our everyday lives. Right? Right. What makes us different is that it has become our way of speaking. Multilingual people around the world speak their mother tongue at home and another acquired language such as English in the workplace. In Lebanon, we are all Lebanese and we speak with each other using different languages. That’s the charm of it! There you have it: 1 sentence, 3 words, 3 languages. And there are more to come. Wait, it doesn’t stop there. This is basically spoken by Lebanese ladies. Some Lebanese even turn French into Lebanese: Bonjourein, Bonsoirein, Bizouyèt, etc. Code-switching is like our badge of Honor. We earned it.